Bob Weeks on Curling: What's Next for the Brier? 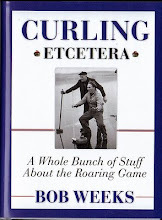 The random thoughts of a curling writer. What's Next for the Brier? A lot of people bristle at the idea of changes to the Tim Hortons Brier. Despite what some may think, however, the Brier has been in a constant state of flux since it was first held back in 1927. For instance, teams have been added and teams have been subtracted over the years. There were teams from Toronto and Montreal at the first five Briers. And at that inaugural event, there was no team from Manitoba, B.C., Alberta, PEI, Newfoundland and Labrador (which wasn’t even part of Canada) or the Territories. For the record, Northern Ontario was there at the first shootout. The number of ends has dropped from 14 down to 10. Rules have been added and etiquette changed. In the early days of the Brier it was considered improper for the skips to walk down the centre of the sheet on their way to the far end to start the first end. Warm-ups weren’t allowed at all. There was no free-guard zone or electronic hog line sensors. The point is that those who say the Brier should stay with tradition really should define what that tradition is. Theses days there is talk – I stress talk – about all three Territories getting separate entries, about adding a Team Canada and about dropping Northern Ontario. Warren Hansen told me he thinks what might end up happening is a relegation system where the last place teams drop down into a challenge for final two spots in the field. He also said Northern Ontario won’t be dropped. I’m not a guy who supports Team Canada. I think one of the best parts of the Brier is that the defending champions have to earn their way to the final. 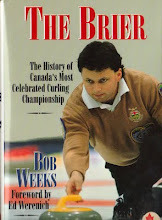 Some get byes part of the way, which I understand, but I think you should have to play to get back to the Brier. Right now, to me, the biggest problem with the Brier is the inequity of the top teams and the bottom teams. The haves and the have-nots are growing in separation although from time to time you get a have-not team turning into a have team – case in point this year is Northern Ontario. But Alberta and Ontario this year were really superior to the team from the Territories. And even PEI and NB and NS. Some of those, of course, have been haves in years gone by. So how do you fix that? Maybe you don’t. Maybe you just accept it and hope that one of the have-nots becomes a have. Are there any other problems that people see? I absolutely agree with you on the Team Canada concept. If anyone suggested that a team that won the World Series or Stanley Cup should get a bye back into the playoffs the next year, you'd look at them like they just landed from Pluto. 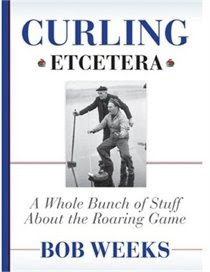 So why do we think it's a good idea for curling? All the Provinces get in, plus YK/NWT/Nunuvut, Northern Ontario, and Team Canada. 12 Teams. The bottom 4 teams from the previous year go to a play-in at a mid-sized regional curling stronghold(think Red Deer or The Soo) for a long weekend to grab 2 spots for the Brier. Market it along the same lines as The Road To The Roar as a mini-Brier of it's own w/ TSN or CBC providing TV coverege; make an event. You still have the 10 team format, you get Team Canada to market with like The Scotties, and you create a new event to create excitement about The Brier and generate more revenue for everyone involved. Jeff, I don't think it's fair to compare curling to baseball or hockey. Those sports have leagues with clearly defined seasons. Curling does not. Curling is more like golf, a collection of events people are free to enter or not depending on their competitive ability, financial ability, time availability, and whether or not they have qualified for the event. If I'm not mistaken, golfers who win tournaments don't have to start at the beginning the next year and qualify again, they get invited back as the defending champion. Do you think the PGA stands for "Pluto Golfing Association"? Three 10s in a day -- never again!